Experience an energizing eight-minute meditation on God's Word. It follows a format similar to our Five-Minute Christian Meditation and is narrated by Bob Metoxen. Want to make sure you always have the Christian Meditation tools with you? Bring it with you on your smartphone! 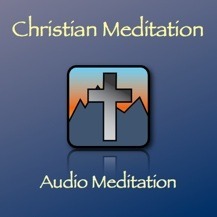 This audio file is in the Christian Meditation app is available on the App Store for only $0.99.